Find an affordable, high-quality dentist in Ajijic – the beautiful village on the edge of Mexico's Lake Chapala. Save up to 80% on the cost of your dental care, and book with Dental Departures to discover exclusive discounts with our background-checked dentists. Ajijic’s (pronounced AH-ha-hic) quaint cobblestone streets are home to a large and growing community of foreign residents, said to number around 7,000 from the United States and Canada. 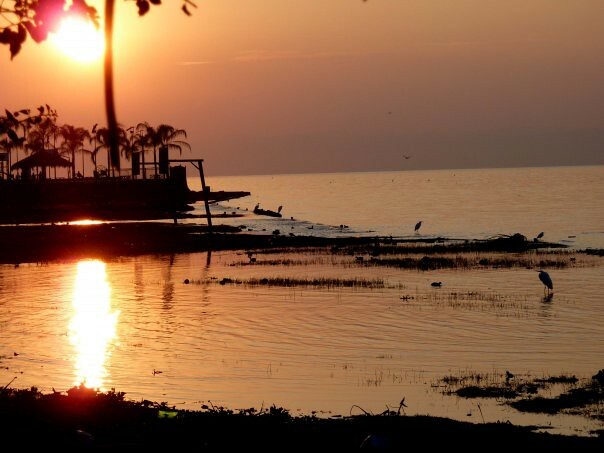 Bordering the natural beauty of more than 100 miles of Lake Chapala's shoreline and set among the majestic Sierra Madre Mountains, it is no wonder visitors here are reluctant to leave. Boasting moderate temperatures throughout the year, the warmth of the climate is matched by the hospitality of Ajijic’s friendly, welcoming residents. You will feel right at home. Ajijic offers the genuine feel of Mexican village life, but provides plenty of services and activities, and is only some 30 miles away from Mexico’s second largest city, Guadalajara – an undiscovered tourism gem. Despite the calming, sleepy village atmosphere, Ajijic offers leisure activities suiting all tastes and sensibilities. Tennis, golf, boating and horseback riding are just some of the leisure pursuits available to tourists and residents alike. Visitors will also find a variety of classes to learn Spanish, Mexican culture or practice art. Foodies will find fine restaurants for wining and dining while watching the world go by, or simply enjoying the stunning sunsets over the Lake. Ajijic offers the perfect picturesque respite from hectic, 21st-century living while retaining all the modern-day amenities we cannot do without. 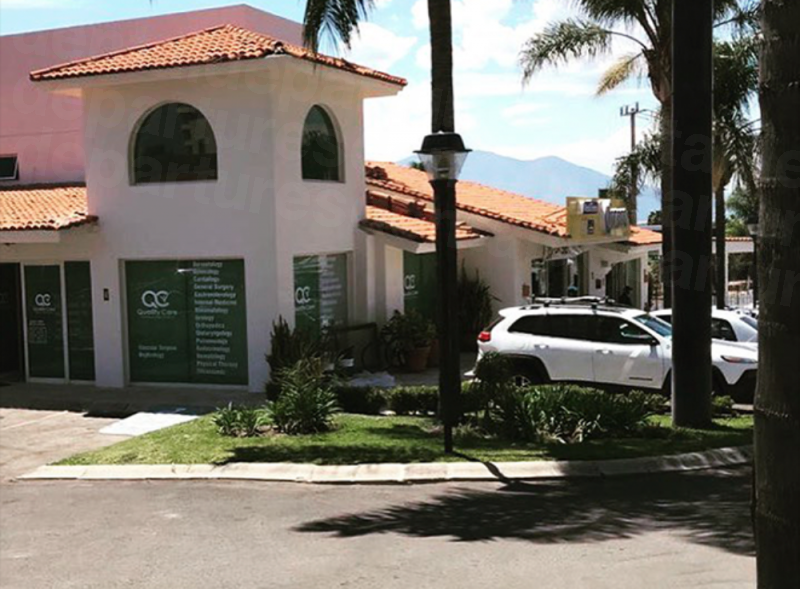 Patients traveling here for dental care will not be disappointed by the professionalism, skill and services provided by our dental clinics here, with affordable prices leaving you money in your pocket to enjoy Lake Ajijic to the full. 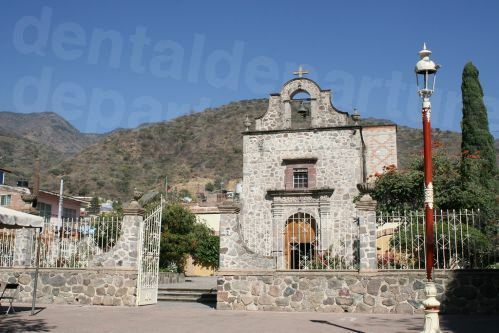 Ajijic is located on the North Shore of Lake Chapala, in the state of Jalisco. 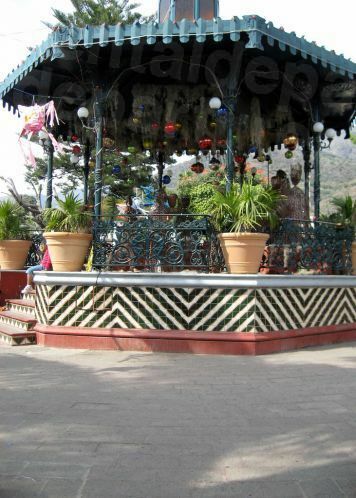 It is around three miles from the small town of Chapala. Guadalajara’s international airport is only half an hour’s drive away. Why Visit a Dentist in Ajijic? Ajijic's population of around 15,000 includes around 7,000 expats from the United States and Canada. 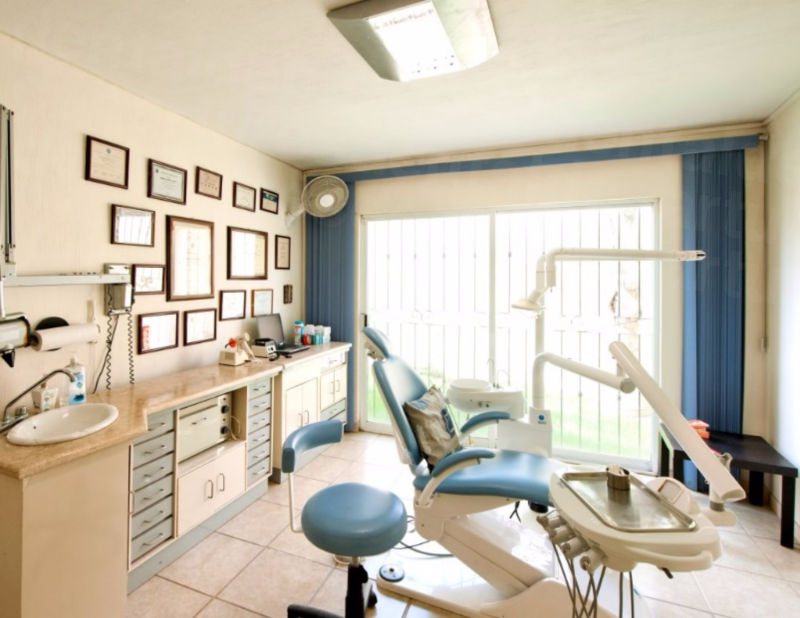 If you have concerns about the cultural differences of visiting a dentist in Mexico, then Ajijic may be the perfect place for you. 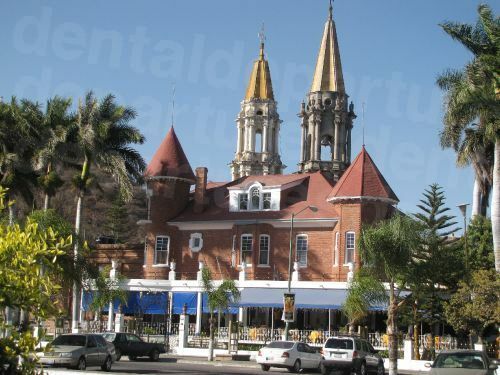 While it retains a Mexican village ambiance, the large English-speaking community assures you will have no problems with the language while you are out and about. Before you consider going abroad for dental care you should do your research and choose a good quality facility. Our best dental clinics in Ajijic offer high-quality dental services you will find on a par with the services your dentist at home provides. At Dental Departures we perform background checks on our verified clinics to ensure our patients can be confident they will receive a high standard of dental care. We perform malpractice and criminal records checks, as well as dentist’s qualifications, experience and memberships of professional dental and medical organizations. Along with verified patient reviews, clinic photos and virtual tours, our website makes it easy for you to see this information for yourself, in order to help you make a decision on whether a particular clinic is right for you. How Much Can I Save Getting my Treatment in Ajijic? Ajijic offers exceptional accommodations in and around the area. Boutique hotels, spa resorts and a huge array of bed and breakfast accommodation ensures you will find something to suit your budget and taste. Some of our dentists provide free airport and hotel transfers as well as hotel discounts, allowing you to save even more by booking through Dental Departures. Yes – Lake Chapala and Ajijic have fairly low crime rates and are relatively untouched by the social and political unrest that Mexico has suffered in the recent past. If you follow the common sense rules of travel, you can be confident of remaining safe and secure in and around Ajijic. Is the Quality of Care in Ajijic the Same as Back Home? Booking your dental care with a reliable, quality-checked dentist is the best way to help ensure high-quality standards of care and a satisfying clinical outcome. Dentists in Mexico are required to undergo general dentist training in the same way as your dentists back home. Dentists who treat international patients often have received specialist training, many in the United States. You can find details of our dentists' credentials on the Dental Departures website. 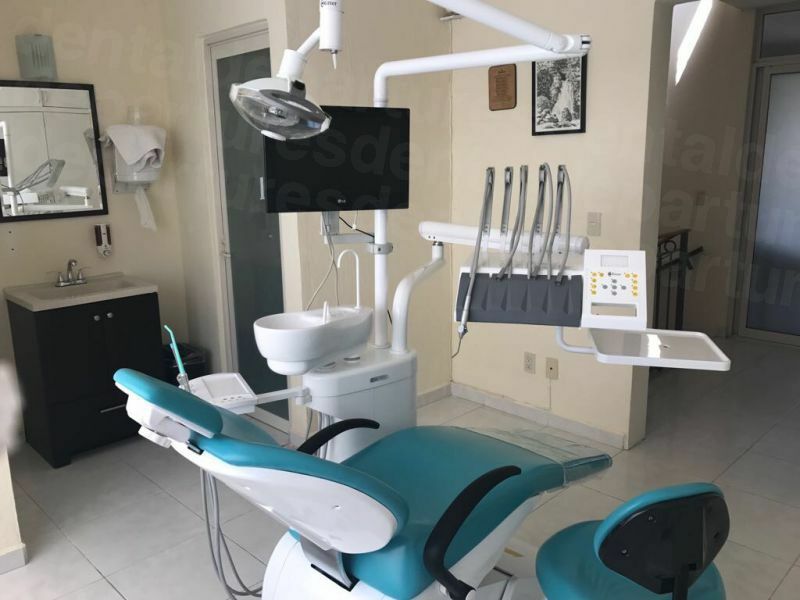 While not every dental clinic in Mexico is up to the same standards as your dentist at home, our verified clinics do have exceptionally good facilities, with highly advanced technology and the same branded high-quality materials available. This is why more than 500,000 North Americans visit Mexico every year for dental care, with overwhelmingly successful results. What Happens if Something Goes Wrong? Does my Ajijic Dentist Guarantee the Work? While the outcome of any medical or dental treatments cannot be guaranteed 100%, booking your appointment through Dental Departures provides you warranties on your dental work and materials used, as all our verified dentists offer this peace of mind. Additionally, you also have the backing of Dental Departures. If you experience any problems, we work on your behalf to get the problem put right. If you are concerned about the additional travel expenses you may incur in the unlikely event you need to return to your dentist in Ajijic, we have also teamed up with insurance providers who will cover you for these expenses at a reasonable fee. No. Ajijic has a large community of ex-pats from the United States and Canada and so English is spoken in most hotels, restaurants and attractions. Our dentists in Ajijic depends upon treating American and Canadian patients and thus speak English well. Generally, US cash is accepted everywhere, but all other methods, such as debit and credit cards and personal and traveler’s checks are also accepted. Credit care payments may be subject to a small processing fee of 3-4%. Is My Dental Insurance Accepted in Ajijic? 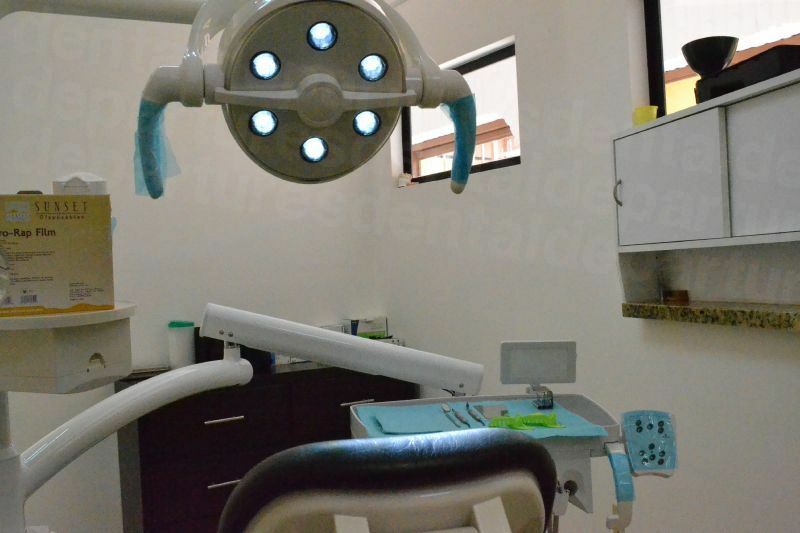 Dental clinics in Ajijic are not able to bill your insurance company directly. However, if your insurance covers "out-of-network" care, you may be able to have the cost of your treatment reimbursed upon your return home. Check with your insurance company prior to travel as you will need to bring the appropriate documents for your dentist in Ajijic to complete. It is also worth bearing in mind that you may be eligible for further discounts on your dental care as part of your allowable tax deductions. The eligible amounts change from year to year so it is worth checking with your tax office. When is the Best Time to Visit a Dentist in Ajijic? Ajijic is blessed with warm weather all year round, and the area around Lake Chapala claims to have one of the best climates in the world. The hottest temperatures occur in April – June at around 83-86°F; average highs at the coolest time (October – December) run between 76-79°F. The heaviest rainfall occurs from June – September; showers are not sustained and it will be bright and sunny between downpours. Our dentists are open all year round, and so you will be able to book an appointment whenever you decide to visit. Because Ajijic is a winter destination for North American retirees and snowbirds from North America, our dentists are generally busier during these times, with accommodation charges at a premium. You can always find discounts on airfares and accommodation during the low season, so it may be worth bearing this in mind to enjoy the best savings. Ajijic’s cobblestoned streets sloping toward the lake will prove challenging in a wheelchair. However, Ajijic boasts evenly-paved spacious walkways around the lake. You will find wheelchair-friendly lodging, including hotels, motels and bed and breakfast inns. Let us know your requirements, as we will help guide you to a wheelchair-friendly dentist. Warm weather, happy people and a slower pace of life – if these are not to your liking then Ajijic is not for you! Regarding your dental care, unlike at home, sedation is not a standard means of pain relief throughout Mexico. While local anesthetic used by all our dentists, many do not offer sedation dentistry, which requires the services of an anesthesiologist at an additional $400-$600. Anxiety medication such as Valium is available with advance request. Dental Departures can help you find a dentist with these services so please don’t hesitate to get in touch. In common with most Mexican towns and cities, there is the ubiquitous plaza – a beautiful verdant space with palm trees, flowers and a pavilion – the perfect place to unwind and people-watch. About a block away from the lake is the Lake Chapala Society, set among large botanical gardens and offering all sorts of activities from scrabble tournaments to arts and crafts classes. Ajijic’s cobbled streets are lined with restaurants, art galleries and stores – giving you plenty to do and see on the walk to the lakeside. At the edge of the lake is a public park, equipped with fire pits and grills for you to prepare and enjoy your own picnic. You will be greeted with spectacular views across the lake to the mountains; at night the horizon is dotted with lights from villages. The colorful Chapala handicrafts market is good for bric-a-brac and souvenirs, and nearby Christiania Park has a large playground for children. Events and festivals take place throughout the year, including the popular International Chili Cook-Off. The Charro Society hosts local rodeo riders in full Mexican attire. Further afield, in the nearby town of San Juan Cosala (around 10 miles from Ajijic), you'll find the aguas thermals (hot springs) for a relaxing and healthful soak. Another popular trip is the Casacadas de Agua, where you can swim in sparkling pools and climb waterfalls. Ajijic offers low-key living in relaxing surroundings while remaining within easy reach of popular high-octane tourist resorts such as Puerto Vallarta and Guadalajara. Guadalajara International Airport is around 30 minutes drive away and receives regular international flights from across North America and the rest of the world. Book online or use our toll-free number to find and book your quality-checked dentist in Ajijic. 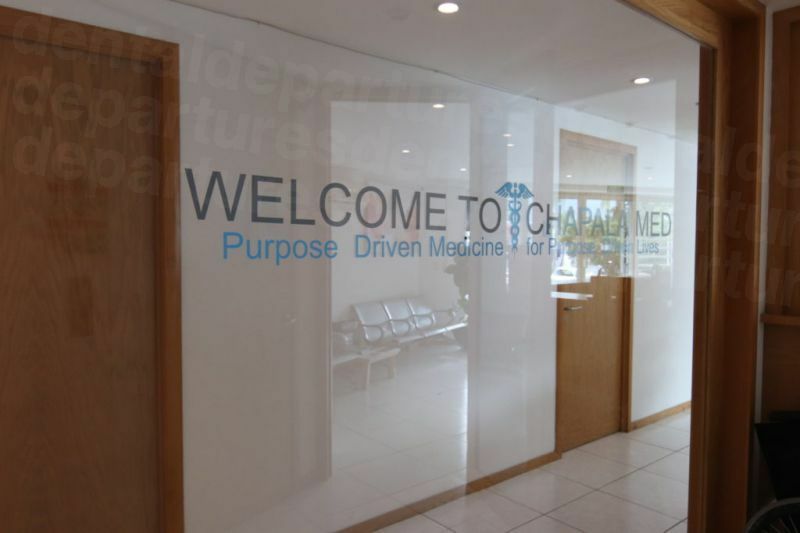 If you have any questions we’re always happy to help, so please get in touch and we’ll do our best to get you fantastic dental care in this carefree destination. Liacko, Alexa. What Should Consider Before You Go To Mexico For Dental Care. https://www.abc15.com/news/local-news/what-you-need-to-know-before-you-go-to-mexico-for-dental-care. ABC15. 18 May 2017. Rogers, Mark. Ajijic: Mexico’s Ex-Pat Paradise on the Lake. https://eu.usatoday.com/story/travel/destinations/2018/01/22/ajijic-mexicos-expat-paradise-lake/1053332001/. USA Today. 23 January 2018. Hart, Dana L. et al. Considering the Tax Benefits of Medical Tourism. https://www.cpajournal.com/2018/03/21/considering-tax-benefits-medical-tourism/. CPA Journal. March 2018. Reinberg, Steven. Can’t Afford the Dentist? You’re Not Alone. https://www.cbsnews.com/news/cant-afford-the-dentist-youre-not-alone/. CNS News. 7, September 2017. Ajijic Attractions. https://escapetoajijic.com/ajijic-attractions/. Escape to Ajijic. Website accessed 3 December 2018.